Maren Balers provide a cost-effective solution to metal materials by baling large volumes of scrap and non-ferrous recycled material including aluminum, copper, and steel. 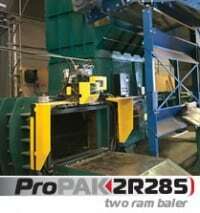 Maren’s high density recycling balers use feeder hoppers to process a variety of scrap metal to maximize baling, storage, and transportation profits. Maren Baler’s standard tongues and grooved floors are ideal for handling dense materials and the shear blades help reduce the cost of baling metals by compacting the material into tight bales. 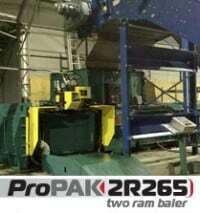 Nearly all scrap metals can be recycled endlessly to be reused in many different industries. Maren’s durable Balers can flexibly handle the demand of metal baling and is a smart investment for maximum revenue of scrap and non-ferrous metal materials. 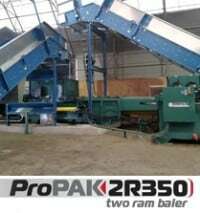 Maren’s ProPak Two Ram Balers are designed with the capabilities to handle and bale high density scrap and non-ferrous metal materials. Pack more material into every bale with Maren’s two ram balers designed with door position transducers to automatically control the bale size and finishing! Our balers handle high bale densities to maximize baling, storage, and shipping efficiency for all varieties of scrap metals. 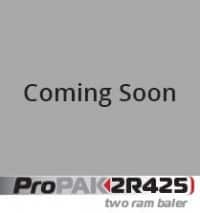 Maren two ram balers have the extra power needed to safely bale high volumes of large and bulky scrap and non ferrous metals. Maren’s Closed Door Manual Tie Balers large feed opening and smart bale technology can easily meet the high demand of baling ferrous and non-ferrous metal scrap. 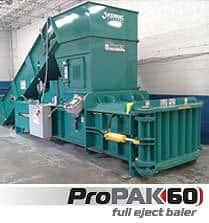 Our closed door balers allow for full ejection and separation of individual bales during the baling process and are capable of handling the full spectrum of scrap metal. 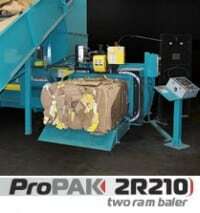 Baling large or bulky metal scraps are no problem for Maren’s durable closed door balers. Scrap and non-ferrous recycling diverts recycled material from landfills to be reused in new consumer products including airline, automotive, manufacturing, electrical devices, and more. 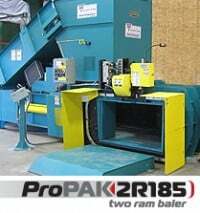 Maren Engineering has Scrap & Non-Ferrous Recycling Balers For Sale. Contact Us Today!